Last weekend it was my dear friend Kate’s birthday party. And to celebrate the big day she decided to embrace her Scottish roots and throw a Ceilidh. Dorothy and I arrived a day early to make the most of the weekend and it turned out to be just in the nick of time as a huge storm hit Hampshire. 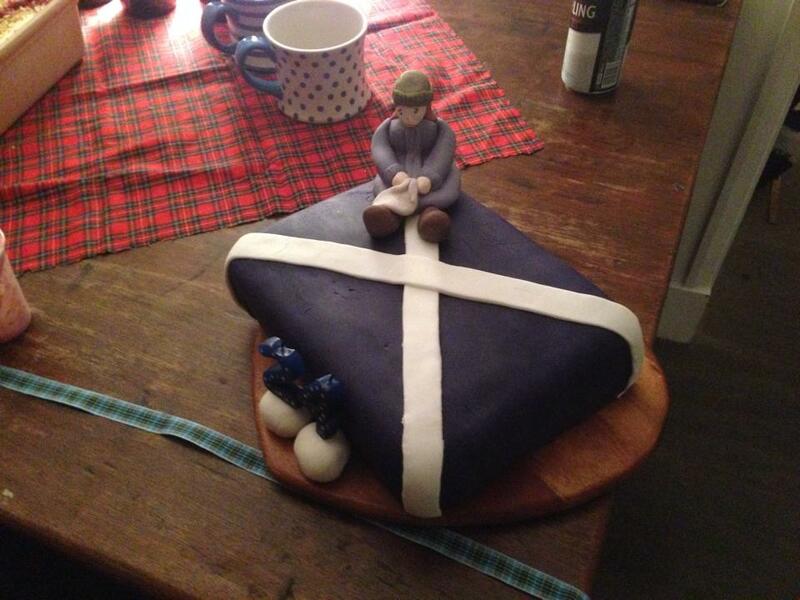 But we had candles and warm food and soon got into the Scottish mood with the Red Hot Chilli Pipers. Kate lives in a chapel and had dressed it with candles and fairly lights. 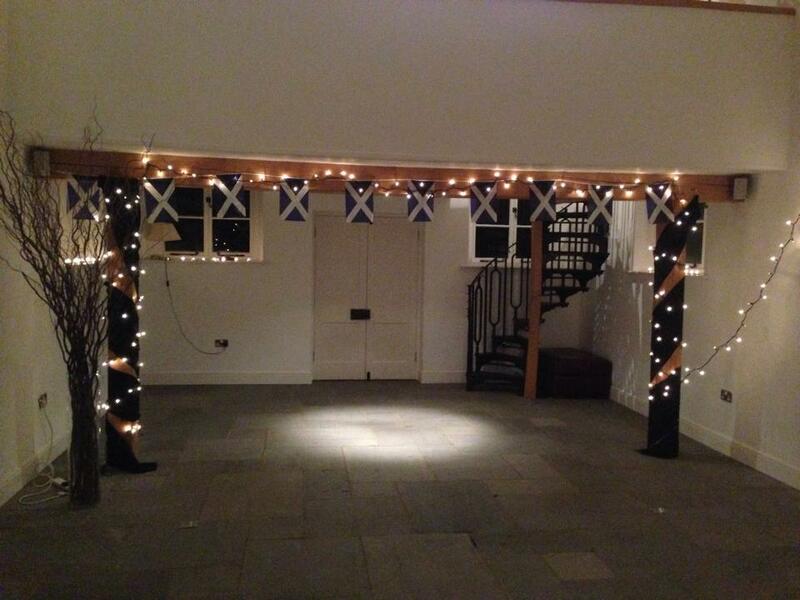 Scottish flags and tartan adorned the beams and windows, in the words of my friends Lauren, Chappers and Sobs ‘it was magical’. The chapel in all it’s Scottish glory! The blessing of the haggis kicked off the evening, we all tucked in to haggis lasagna, cranachan and Verity’s special Scottish Kate cake before the dancing commenced. The band was brilliant and very patient. Because despite very little coordination amongst the forty guests, limited space and a considerable amount of alcohol (obviously mixed with Irn Bru) we did ok. But most importantly we had SO much fun, I absolutely loved it. We Gay Gordoned, Dashed the White Sargent and Stripped the Willow for hours. I felt like I was back at school, aged six, trying to do country dancing all over again. What a special way to celebrate a birthday and catch up with friends. I almost felt that I could give up my English roots and become Scottish – the question is would they want me?! Living in the Cotswold’s there aren’t a huge number of ceilidh’s that go on, but next time there is one, you can be sure that I’ll be there, tartan sash n’ all.